Similarly anguished sentiments can be heard in synagogues and in Jewish homes throughout America. For 70 years, Israel survived in no small part because of American Jews’ support. Now we watch in horror as Netanyahu, with President Trump’s encouragement, leads Israel on a path to estrangement and destruction. Both men have gravely miscalculated. Trump seems to think support for Netanyahu will appeal to American Jews otherwise appalled by his treatment of immigrants and minorities. (Trump observed Rosh Hashanah last week by ordering the Palestinian office in Washington closed, another gratuitous blow to the moribund two-state solution that a majority of American Jews favor.) But his green light to extremism does the opposite. Netanyahu, for his part, is dissolving America’s bipartisan pro-Israel consensus in favor of an unstable alliance of end-times Christians, orthodox Jews and wealthy conservatives such as Sheldon Adelson. The two have achieved Trump’s usual result: division. They have split American Jews from Israelis, and America’s minority of politically conservative Jews from the rest of American Jews. A poll for the American Jewish Committee in June found that while 77 percent of Israeli Jews approve of Trump’s handling of the U.S.-Israeli relationship, only 34 percent of American Jews approve. Although Trump is popular in Israel, only 26 percent of American Jews approve of him. Most Jews feel less secure in the United States than they did a year ago. (No wonder, given the sharp rise in anti-Semitic incidents and high-level winks at anti-Semitism, from Charlottesville to Eric Trump’s recent claim that Trump critics are trying to “make three extra shekels.”) The AJC poll was done a month before Israel passed a law to give Jews more rights than other citizens, betraying the country’s 70-year democratic tradition. I fear she is correct. Netanyahu is betting Israel’s future on people such as Pastor John Hagee of Christians United for Israel, featured at the ceremony for Trump’s opening of the Jerusalem embassy. Hagee once said “Hitler was a hunter” sent by God to drive Jews to Israel. Pro-Israel messianic Christians see Israel as a precursor to the second coming, when Jews must convert or go to hell. 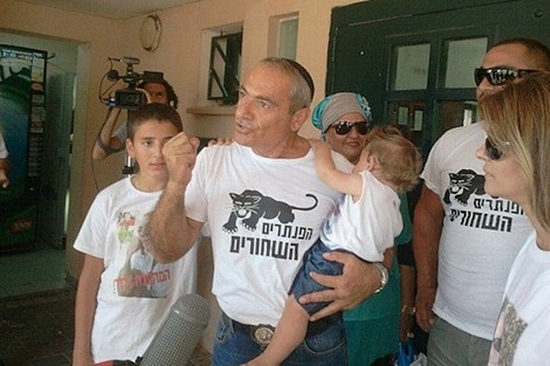 American Jews can’t appreciate the daily threat Israelis face from Hamas and Hezbollah. But if the answer is an ultranationalist apartheid state, American Jews have a duty to tell Israelis that support cannot be sustained here — nor should it be. Interesting article. I see some similarities with my own views. Especially in the case of the links between Israel, Poland, Hungary and Austria. Maybe that is not such a strange phenomenon, because much of the European-Jewish Ashkenazi immigrants to Palestine were Polish jews, Hungarian jews and probably Austrian jews too. Netanyahu and other Israeli politicians and leaders don't give so much about Diaspora jews, because you have millions of Israeli jews with a different identity and political affiliation than the progressive liberal American jews and the Social democratic and European Liberal European jews. He has conservative Christian allies (there are more Christian Zionists than Jewish Zionists in the world) and he has his secular conservative, secular nationalist and Religious Zionist support base in Israel. The jewish world is very complicated, as complicated as the Christian world and the Muslim world. Like the Muslims and Christians the jews are very divided, polarized and different from each other. A saying says; “Ask two Jews, get three opinions.” (Rabbi Susan Grossman: www.beliefnet.com/columnists/virtualtalmud/2007/05/two-jews-three-opinions.html ). Fact is that today many American, Canadian, European, Australian, New Zealandish and maybe also South-African jews are dissatisfied with the direction Israeli is going under the present thirty-fourth government of Israel, also known as the Fourth Netanyahu Government. Dear friends a decade ago I left a Dutch jewish forum after fierce clashes on that forum between Dutch Diaspora jews and rightwing Israeli Settler who were National Union ( en.wikipedia.org/wiki/National_Union_(Israel) , Moledet ( en.wikipedia.org/wiki/Moledet ), Yesha Council ( en.wikipedia.org/wiki/Yesha_Council ), and the rightwing, National conservative, Right-wing populist and Revisionist Zionist wing of the Likud party. I saw a fierce battle between jews amongst themselves which looked like an online battle between for instance Pro-palestinian BDS movement ( Boycott, Divestment and Sanctions movement ) and Free Palestine movement and Electronic Intifada people on one side and Likud, The Jewish Home ((Hebrew: הַבַּיִת הַיְהוּדִי, HaBayit HaYehudi) and Avigdor Lieberman's Yisrael Beiteinu (Hebrew: יִשְׂרָאֵל בֵּיתֵנוּ, lit. Israel Our Home) on the other side. Very aggressive, very intolerant, very heated, very personal attacks. The Israeli settler of Duch decent attacked a leftwing Dutch Rabbi, called the Red Rabbi (red is the color of socialism and the left in Europe in contrast with the USA where Red stands for the Republican conservatives and Blue stands for the Democatic liberals.). The moderatar/administrator of the Forum Raya Lichansky had to stop the Forum, because it became too tense. That was very unfortunate. I was active on that Forum before I started engaging in Jaga's Bella Polish Culture Forum. I learned a great deal about Dutch Judaism, my own Polish jewish family, Diaspora Judaism vs Israeli judaism, and got some connections out of that. My great desire is with my Roman-Catholic and Protestant and secular native Duch Ruach group in the Norbertine Abbey of Heewsijk Dinther to organise a Jewish day in 2019. One big problem in that is that the Jewish Sabath takes place from friday evening when the sun goes down to saturday evening when the sun goes down. So, I have 2 choices. One. I have to have secular jewish experts who can tell me something about the Jewish faith, history and culture or I have to convince my fellow members that we should have our day one time on Sunday, so that an Orthodox Rabbi can join us to explain Judaism, the jewish faith and all aspects of jewish culture to us in one day? I had a successful Muslim day with Turkish friends in early 2018 and I hope that I can repeat that with a Jewish day in 2019. Back to the subject. Israel from it's start was based on nation building and in my opinion had a Nietschian ideal with it's pioneer jews, the new jews that built Israel. I want to separate Nietsche's philosophy very strictly from the abuse the Nazi's made of his philosophy, because Nietsche wasn't an anti-semite. The early Zionists were deeply concerned with the authenticity of the modern Jew qua person and with the content and direction of the reawakening Hebrew culture. Nietzsche too was propagating his highest ideal of a personal authenticity. Yet the affinities in their thought, and the formative impact of Nietzsche on the first leaders and writers of the Zionist movement, have attracted very little attention from intellectual historians. Indeed, the antisemitic uses to which Nietzsche's thought was turned after his death have led most commentators to assume the philosopher's antipathy to Jewish aspirations. Jacob Golomb proposes a Nietzsche whose sympathies overturn such preconceptions and details for the first time how Nietzsche's philosophy inspired Zionist leaders, ideologues, and writers to create a modern Hebrew culture. Ahad Ha'am, Micha Josef Berdichevski, Martin Buber, Theodor Herzl, Max Nordau, and Hillel Zeitlin as examples of Zionists who "dared to look into Nietzsche's abyss." Asher Zvi Hirsch Ginsberg (18 August 1856 – 2 January 1927), primarily known by his Hebrew name and pen name Ahad Ha'am (Hebrew: אחד העם, lit. 'one of the people', Genesis 26:10), was a Hebrew essayist, and one of the foremost pre-state Zionist thinkers. He is known as the founder of cultural Zionism. With his secular vision of a Jewish "spiritual center" in Israel, he confronted Theodor Herzl. Unlike Herzl, the founder of political Zionism, Ha'am strived for "a Jewish state and not merely a state of Jews". Cultural Zionism (Hebrew: צִיּוֹנוּת רוּחָנִית, translit. Tsiyonut ruchanit) is a strain of the concept of Zionism that values creating a Jewish state with its own secular Jewish culture and history, including language and historical roots, rather than other Zionist ideas such as political Zionism. In 1890 the Little Russian-born writer of Hebrew, a journalist, and a scholar Micha Josef Berdyczewski (Mikhah Yosef Bin-Gorion; 1865 – 1921) went to Germany and Switzerland, studied at the universities of Berlin, Breslau (the present day Polish city Wrocław) and Bern, and completed his Doctor of Philosophy degree. In this period Berdyczewski studied the works of the great German philosophers Nietzsche and Hegel, and was deeply influenced by them. In the ten years until his return to Ukraine he published many articles and stories in Hebrew journals. Up to 1900, the year in which he married Rahel Ramberg, Berdyczewski had published ten books. His work had influence in both the European Diaspora Jewish world as in Zionist circles in Palestine, Israel and the USA. Via his work Nietzsche's philosophy, ideas and work had influence on Zionism. 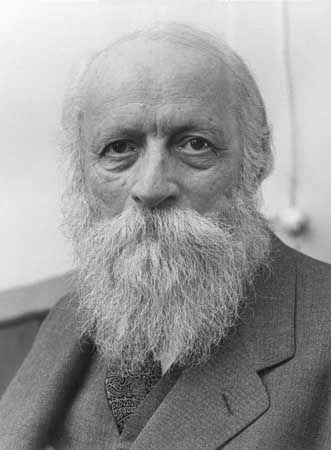 Martin Buber (Hebrew: מרטין בובר; German: Martin Buber; Yiddish: מארטין בובער‎; February 8, 1878 – June 13, 1965) was an Austrian-born Israeli Jewish philosopher best known for his philosophy of dialogue, a form of existentialism centered on the distinction between the I–Thou relationship and the I–It relationship. Despite Buber's connection to the Davidic line as a descendant of Katzenellenbogen, a personal religious crisis led him to break with Jewish religious customs. He began reading Immanuel Kant, Søren Kierkegaard, and Friedrich Nietzsche. The latter two, in particular, inspired him to pursue studies in philosophy. In 1896, Buber went to study in Vienna (philosophy, art history, German studies, philology). In 1898, he joined the Zionist movement, participating in congresses and organizational work. In 1899, while studying in Zürich, Buber met his future wife, Paula Winkler, a "brilliant Catholic writer from a Bavarian peasant family" who later converted to Judaism. Buber, initially, supported and celebrated the Great War as a 'world historical mission' for Germany along with Jewish intellectuals to civilize the Near East. Theodor Herzl (1860 – 1904), the father of modern political Zionism lived and worked in the same time as Friedrich Wilhelm Nietzsche (1844 – 1900) and read and knew Nietzsche's work. Herzl published Nietzsche's work in his Viennese newspaper the Neue Freie Presse. As a young man, Herzl was an ardent Germanophile who saw the Germans as the best Kulturvolk (cultured people) in Central Europe and embraced the German ideal of Bildung, whereby reading great works of literature by Goethe and Shakespeare could allow one to appreciate the beautiful things in life, and thus become a morally better person (the Bildung theory tended to equate beauty with goodness). Through Bildung, Herzl believed that Hungarian Jews such as himself could shake off their "shameful Jewish characteristics" caused by long centuries of impoverishment and oppression, and become civilized Central Europeans, a true Kulturvolk along the German lines. At the University of Vienna, Herzl studied law. 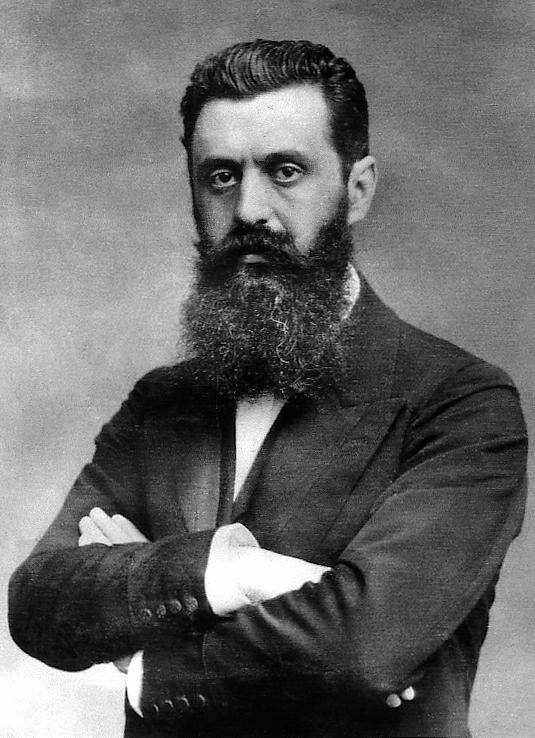 As a young law student, Herzl became a member of the German nationalist Burschenschaft (fraternity) Albia, which had the motto Ehre, Freiheit, Vaterland ("Honor, Freedom, Fatherland"). He later resigned in protest at the organisation's antisemitism. The anti-semitic Dreyfus Affair ( en.wikipedia.org/wiki/Dreyfus_affair ) and the Austrian and French anti-semitism he witnessed turned Theodor Herzl into a Zionist. He became convinced that there was no place for jews in Europe and that they had to find and create their own homeland. In the concept of Muscular Judaism you see the clear influence of Friedrich Nietzsche's philosophical novel Thus Spoke Zarathustra: A Book for All and None (German: Also sprach Zarathustra: Ein Buch für Alle und Keinen) on Zionist leader, physician, author, and social critic Max Simon Nordau (1849 – 1923). Nordau, at the 1898 Zionist Congress, coined the term "muscular Judaism" (muskel-Judenthum) as a descriptor of a Jewish culture and religion which directed its adherents to reach for certain moral and corporeal ideals which, through discipline, agility and strength, would result in a stronger, more physically assured Jew ("Übermensch") who would outshine the long-held stereotype of the weak, intellectually sustained Jew ( "Untermensch" ). He would further explore the concept of the "muscle Jew" in a 1900 article of the Jewish Gymnastics Journal. Fact is that in the Jewish world in Europe, the USA and Israel German, Austrian, British, French, Dutch, Belgian and maybe Swiss jews formed an Ashkenazi elite of assimilated European jews. The Jews of the German speaking world, the German jews tend to look down on the Ost Jude (Eastern jew), meaning Polish-, Russian-, Ukrainian-, Belarussian-, Baltic-, Romenian-Moldovan (Bessarabian), Georgian-, Bulgarian- and Armenian jews as oriental people, as Yiddish speakers (Weiber Deutsch, female German, in the words of the German Jewish philosopher Moses Mendelssohn, who is the father of the Haskalah, the 'Jewish enlightenment'. Weiber Deutsch ment dat the [primitive] Yiddish speaking Eastern jewish mom taught Yiddish to her child. Yiddish (ייִדיש, יידיש or אידיש, yidish/idish, lit. "Jewish", pronounced [ˈjɪdɪʃ] [ˈɪdɪʃ]; in older sources ייִדיש-טײַטש Yidish-Taitsh, lit. 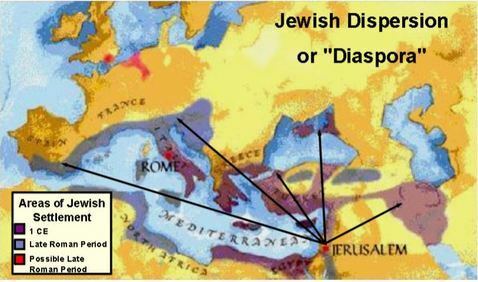 Judaeo-German) is the historical language of the Ashkenazi Jews. It originated during the 9th century in Central Europe, providing the nascent Ashkenazi community with a High German-based vernacular fused with elements taken from Hebrew and Aramaic as well as from Slavic languages and traces of Romance languages. Yiddish is written with a fully vocalized version of the Hebrew alphabet. As a assimilated Hochdeutsch or Standarddeutsch (Standard German) speaking German jew Moses Mendelssohn had difficulties with the language Yiddish which he considered an Eastern-European German dialect in which a strange mix of German, Hebrew, Slavic and Romance elements create a crazy German slang. Like later Zionists who saw Zionism as an ideology, movement and goal to get the Eastern-European jews out of their backward, impoverished, humiliated and inferior position as pauper masses. And the modern Hebrew (Ivriet) of the 'new' jew that came out of the Old Eastern-European Yiddish speaking Ashkenazi jews, should replace the old Central-European and Eastern-Euroepean Yiddish speaking Diaspora identity of the Schlemiel (Schlemihl in German), "incompentent person" or "fool." A schlemiel is "irredeemably what they are." German was the language of the enlightened, Western, German jew, who was equal to the Native European christian German with his high culture) and as poor, primitive, Ultra-Orthodox, shtetl and ghetto jews. This way of looking at Central- and Eastern-European Ashkenazi jews by the assimilated German jews was nearly the same way as non-Jewish christian native European anti-semites looked down with contempt at European jews. Moses Mendelssohn (6 September 1729 – 4 January 1786) was a German Jewish philosopher to whose ideas the Haskalah, the 'Jewish enlightenment' of the eighteenth and nineteenth centuries, is indebted. I remember reading that during the thirties Dutch jews (of whom many had Polish Ashkenazi jewish, Russian Ashkenazi jewish, Ukrainian Ashkenazi jewish and Lithuanian Ashkenazi jewish heritages next to the Portuguese Sephardic jewish elite in the Netherlands) had problems with the arrogant assimilated, very German, German jews who came to the Netherlands. The Dutch jews saw these German jews as more German than native Germans. These German jews felt very humiliated that they weren't seen as Germans, because they built German industries, factories, contributed to German science and culture and fought in the First World War as German soldiers and officers. I hear this story of German or West-European jews looking down on the Ost-Jude (=Central-European and Eastern-European jews) over and over by European historians, Israeli writers and historians and American jewish historians. I don't dislike German jews personally and think that we must watch out to generalise them as 'arrogant', 'discriminatory' and 'racist' jews within the jewish world, but I think it is true that the German jews formed in the beginning some sort of elite in the USA, in Israel and in Europe. Maybe because they were assimilated and had some political, financial-economical and military power in the German empire, the Weimar republic and in Austria before the Anschluss ( the annexation of Austria into Nazi Germany on 12 March 1938). I don't believe that present day German jews and Austrian jews stil have that prejudice attitude towards the 'Ost Juden' (Eastern-jews; Central- and Eastern European jews east of Germany and Austria), but the German and Austrian German speaking jews have to deal with that image that exists of them from the past and their being perceived as being a yekke (also Jecke) a Jew of German-speaking origin. Stereotypes of the German jew is that they are known for their attention to detail and punctuality. In countries like Switzerland, Eastern France (Alsace and Lorraine), the Netherlands and Luxembourg you can find many people with a yekke (German Jewish) background (Often offspring of refugees from Nazi Germany and Nazi Austria, from those families who survived the Holocaust and returned to these countries in staid of going back to Germany and Austria). Jacob Golomb observed, "Nietzsche's ideas were widely disseminated among and appropriated by the first Hebrew Zionist writers and leaders." According to Steven Aschheim, "Classical Zionism, that essentially secular and modernizing movement, was acutely aware of the crisis of Jewish tradition and its supporting institutions. Nietzsche was enlisted as an authority for articulating the movement's ruptured relationship with the past and a force in its drive to normalization and its activist ideal of self-creating Hebraic New Man." Francis R. Nicosia notes, "At the height of his fame between 1895 and 1902, some of Nietzsche's ideas seemed to have a particular resonance for some Zionists, including Theodore Herzl." 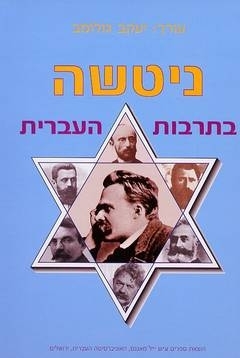 Among many other facts that show Herzl had a serious interest in Nietzsche, at least for a time (including the fact that under his editorship the Neue Freie Presse dedicated seven consecutive issues to Nietzsche obituaries), Golomb points out that Herzl's cousin Raoul Auernheimer claimed, in a memorial tribute, that Herzl was familiar with Nietzsche and had "absorbed his style". On the other hand, Gabriel Sheffer suggests that Herzl was too bourgeois and too eager to be accepted into mainstream society to be much of a (even if "aristocratic") revolutionary, and hence could not have been strongly influenced by Nietzsche, but remarks, "Some East European Jewish intellectuals, such as the writers Yosef Hayyim Brenner and Micha Josef Berdyczewski, followed after Herzl because they thought that Zionism offered the chance for a Nietzschean 'transvaluation of values' within Jewry". Nietzsche also influenced Theodor Lessing. Martin Buber was fascinated by Nietzsche, whom he praised as a heroic figure, and he strove to introduce "a Nietzschean perspective into Zionist affairs." In 1901, Buber, who had just been appointed the editor of Die Welt, the primary publication of the World Zionist Organization, published a poem in Zarathustrastil ( a style reminiscent of Nietzsche's Thus Spoke Zarathustra) calling for the return of Jewish literature, art and scholarship. However, praise for Nietzsche was not by any means universal among Zionists. 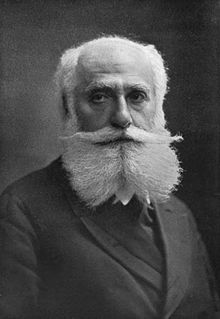 Max Nordau, an early Zionist orator and controversial racial anthropologist, insisted that Nietzsche had been insane since birth, and advocated "branding his disciples [...] as hysterical and imbecile." Back to today folks. Israel exists for 70 years now and many Israeli's with an European Ashkenazi background, Sephardic jewish backround and Mizrahi background are simply Israeli's born in Israel in a country where Hebrew, Arabic, English, Russian, French, Armenian, Greek, Berber, Iranian Farsi, Kurdic languages and Turkish are spoken, but where Hebrew is dominant. These jews were born in British Palestine in the Jewish community Yishuv of that time in Jewish neighbourhoods, towns or cities or in socialist or religious (Orthodox jewish) kibbutzim (collective agricultural communities) or moshavim (cooperative agricultural communities). Generations of Israeli jews received the collective Israeli identity and the feeling of connection and beloning to Israel via military service in the Israeli Defense Forces (Tzahal) and the Israeli education system. IDF - Israel Defense Forces - Women Speed up and simplify the pistol loading process with the RAE Industries Magazine Loader. For a long time military service in the IDF was some sort of integration course for new jewish immigrants in Israel. The army shaped the Israeli identity. You learned Hebrew there and brotherhood and serving the nation. For millennia medieval European antisemitism often forbade the Jews from owning land and farming, which limited their career choices for making a decent living. This forced many Jews to place a much higher premium on education allowing them to seek alternative career options that involved entrepreneurial and white-collar professional pursuits such as merchant trading, science, medicine, law, accountancy, and moneylending as these professions required higher levels of verbal, mathematical, and scientific literacy. The emphasis of education within Israeli society has its modern roots at least since the Jewish diaspora from the Renaissance and Enlightenment Movement all the way to the roots of Zionism in the 1880s. Jewish communities in the Levant were the first to introduce compulsory education for which the organized community, not less than the parents, was responsible for the education of the next generation. With contemporary Jewish culture's strong emphasis, promotion of scholarship and learning and the strong propensity to promote cultivation of intellectual pursuits as well as the nation's high university educational attainment rate exemplifies how highly Israeli society values higher education. Israel is a signatory of the Convention against Discrimination in Education, and ratified it in 1961. The convention has the status of law in Israeli courts. Israel operates an Arab education system for the Israeli-Arab minority, teaching Arab students, in Arabic, about their history and culture. However, there have been claims that the Jewish education system gets more resources. According to the Follow-Up Committee for Arab Education, the Israeli government spends an average of $192 per year on each Arab student, and $1,100 per Jewish student. It also notes that drop-out rate for Israeli Arab citizens is twice as high as that of their Jewish counterparts (12 percent versus 6 percent). The same group also noted that in 2005, there was a 5,000-classroom shortage in the Arab sector. In 1999, in attempt to close the gap between Arab and Jewish education sectors, the Israeli education minister, Yossi Sarid, announced an affirmative action policy, promising that Arabs would be granted 25% of the education budget, more than their proportional share in the population (18%). He also added that the ministry would support the creations of an Arab academic college. In 2001, a Human Rights Watch report stated that students in government-run Arab schools received inferior education due to fewer teachers, inadequate school construction, and lack of libraries and recreational space. Jewish schools were found to be better equipped, some offering film editing studios and theater rooms. In 2009, Sorel Cahan of Hebrew University's School of Education claimed that the average per-student budget allocation for students with special needs at Arab junior high schools was five times lower. In 2007, the Israeli Education Ministry announced a plan to increase funding for schools in Arab communities. According to a ministry official, "At the end of the process, a lot of money will be directed toward schools with students from families with low education and income levels, mainly in the Arab sector." The Education Ministry prepared a five-year plan to close the gaps and raise the number of students eligible for high school matriculation. A 2009 report showed that obstacles to Arab students participating in higher education resulted in over 5,000 moving to study in nearby Jordan. The Association for Civil Rights in Israel and various scholars have criticized wide disparities in education access between Jewish Israelis and Arab Israelis, and underfunding of Arab schools. Again back to the subject of this thread. It is a fact that many jews today have problems with the present day Israeli government, the direction Israel is heading and the way Israel is behaving towards American Judaism, European Judaism and world Judaism. It is a fact that in contrast with 70, 80 or 90 years ago when the jewish community in British Palestine or early Israel was still small if you compared it to American Judaism, today the Israeli jews are a dominant force in the Jewish world. Fact is that with 6,336,400 jews in Israel there are more jews in Israel than in the USA where 5,700,000 jews live. But, but, if you count the 5,700,000 American jews with the 460,000 in France, 388,000 jews in Canada, 290,000 in Argentina, 179,500 in Russia, 117,000 jews in Germany, 113,000 jews in Australia, 94,200 jews in Brazil, 69,500 jews in South-Africa, 56,000 jews in Ukraine, 47,600 jews in Hungary, 40,000 jews in Mexico, 29,900 jews in the Netherlands (they are invisible over here and have fewer and fewer influence in the Netherlands where you have a Muslim community of 850,000 people on a total population of 17,249,632 people), 29,500 Belgian jews, 27,400 Italian jews, 18,800 Swiss jews, 18,300 Chilian jews, 17,000 Uruguayan jews, 15,500 Turkish jews, 15,000 Swedish jews and 167,400 in the rest of the world, than you see that Israel has stil a minority of the world Judaism. But due to Modern Orthodox and Ultra-Orthodox jews the Israeli Jewish population is growing and also due to Jewish immigration from Europe and other continents. European jews immigrate for various reasons to Israel. Some of the reasons are intolerance and Islamic anti-semitism, far right anti-semitism, extreme left anti-semitism and countries who prohibited Ritual slaughter by Orthodox jews and Muslims. I personally believe and see Israel as a Jewish-Arab state with a Hebrew-Arab linguistic culture and a Jewish-Arab future. Not out of naive idealism, a leftist or liberal desire for a 2 state solution or universal humanism and social equality ideas. Fact is that today there is inequaltiy in Israel between Jews and non-Jews, inequality between Ashkenazi jews with an European and American background (the Israeli elite) and people of Sephardic and Mizrahi background who have been Ashkenaziated (integrated or assimilated into the Ashkenazi jewish group via marriage, work relationship or by abandoning their own Sephardic and Mizrahi background by acting and behaving as Ashkenazi jews) on one side and the Sephardic and Mizrahi jews on the other side. Fact is that Mizrahi jews due to their middle eastern looks often got discriminated and received racist behaviour of Native European looking (blond, blue eyed, European brunette or redhead) Ashkenazi police officers, border police patrols or maybe even army patrols, because they look Arab, Iranian, Kurd, Berber or like a bedouin. Because many of these Middle eastern Mizrahi jews have an Arab culture, lived as bedouins in Yemen or as Berbers in Northern-Africa, because they were and are Berber jews. For these middle eastern jews living in Israel is tough, because they have the constant stress that they will be seen as Palestinians, Israeli Arabs or bedouins. In the Netherlands dark looking, Ashkenazi jewish boys with dark curly hair and dark eyes were refused in Amsterdam discotheques, because the doormen though they were Moroccans. Israel has to deal with it's identity, with it's Israeli Druze, Israeli Arabs, Israeli bedouins, Israeli christians (Armenians, Greeks, Coptic christians, Maronites, Chaldean christians, Assyrian christians and etc.) and it's own Sephardic jews and Mizrahi jews and black Ethiopian jews and it's problems with non-Jewish foreign guest workers from the Philippines and Thailand, and it's non-jewish African refugees from Sudan who live under difficult circumstances in Tel-Aviv, Arad, Eilat and Bnei Brak. You have xenophobia, racism and discrimination against the latter by rightwing and far right Israeli's. Personally I don't believe in a 2 state solution, but in a one state solution, a Jewish-Arab state or a Jewish-Arab Federal state, with jewish and Arab states in it. Palestine in the West-Bank, the Gaza strip in South-West-Israel and for instance an Israeli-Arab state in Northern-Israel. Fact is that all people are divided in Israel. In the Arab community some feel and say that they are Israeli Arabs and don't want anything to have to do with the Palestinian Authority, other Israeli Arabs feel and call themselves Palestinians, maybe some Palestinians in East-Jeruslam stil feel themselves as Jordanians like before 1967 when East-Jerusalem was Jordanian. Some Gazans might want to be Egytpians? With Israeli's the same, some Israeli jews feel themselves as Israelu Sabra's, just Israeli's without an ethnic and cultural connotation of their parents and grandparents past, while others feel themselves to be Ashkenazi, Sephardic or Mirzahi in the sense that they say I am Moroccan Berber Jewish, Yemenite Arab jewish, Egyptian Arab jewish, Algerian Berber or Arab jewish, Tunesian Berber or Arab jewish, Iraqi Arab jewish, Syrian Arab jewish, Lebanese Arab jewish, Iranian Persian (Farsi) jewish, Kurd (Northern-Iraq or Syrian) Jewish or Turkish jewish? It is very complicated, very difficult, but it is for the Israeli jews to take responsibility and think about their 'Basic Law: Israel as the Nation-State of the Jewish People'. Is it right, is it just, does it keeps the country united, what goal does it serve? is the long term strategic goal to Judaize the country and minimize the influence and presence of non-jews? This will fail I can predict you. The Israeli Arabs won't leave, the Israeli Druze won't leave, the Bedouins of the Negev desert won't leave and the Palestinians of the Gaza strip and the Westbank (Samaria and Judea) won't leave either. I am certain that the Israeli's don't want an uprising or rebellion of their Druze minority, neither do they want unrest in the Arab sector of Israel. In the end how difficult it is Israel should have a reform policy in which the equal rights and equal education, housing, employment and health care is guaranteed for the non-jewish and the non-Ashkenazi jewish communities. Next to that Israel needs to go back to the negotiation table with the Palestinians and the Western powers should work hard to help the Israeli's and Palestinians with that. The Knesset is the unicameral national legislature of Israel. National and local elections in Israel are by universal, direct suffrage, with secret balloting. All resident Israeli citizens are enfranchised from age 18, regardless of religion or ethnicity, and candidates for election must be at least 21 years old. For national races, the system of election is by proportional representation, and each party receives the number of Knesset seats that is proportional to the number of votes it receives. Israel’s party system has traditionally been complex and volatile: splinter groups are commonly formed, and party alliances often change. Cabinets are therefore invariably coalitions, often of broad political composition, since no single party has ever been able to obtain an absolute majority in the Knesset. Electoral reform in 1992 brought about two significant changes: direct election of the prime minister—formerly the de facto head of government by dint of being leader of the governing coalition—and primary elections to choose lists of party candidates. The primary system enhanced participatory democracy within the parties, while the prime ministerial ballot increased the power of smaller parties, further splintering the composition of the Knesset and making governing coalitions more difficult to maintain. As a consequence, Knesset representation among the two traditional major parties, the Israeli Labor Party (HaAvoda) and Likud, diminished. the Israeli Labor Party is a member of the Progressive Alliance and an observer member of the Party of European Socialists. Likud's European affiliation is with the Alliance of Conservatives and Reformists in Europe (ACRE) and International affiliation is with the International Democrat Union(IDU), an international alliance of centre-right political parties. Headquartered in Munich, Germany, the IDU comprises 73 full and associate members from 63 different countries. It is chaired by Stephen Harper, former Prime Minister of Canada. Direct elections for the premiership were repealed in 2001, and Israel returned to its earlier practice, in which the governing coalition’s leader sits as prime minister. Despite the change, the two main parties continued to face challenges, not only from minor parties but also from new ones. Since the 2001 reform, a number of newly formed parties centred on strong personalities—such as Kadima (Ariel Sharon), Yesh Atid (Yair Lapid), Hatnua (Tzipi Livni), and Kulanu (Moshe Kahlon)—have played prominently in most elections. Early elections for the twentieth Knesset were held in Israel on 17 March 2015. Disagreements within the governing coalition, particularly over the budget and a "Jewish state" proposal, led to the dissolution of the government in December 2014. The Labor Party (HaAvoda) and Hatnuah formed a coalition, called Zionist Union, with the hope of defeating the Likud party, which had led the previous governing coalition along with Yisrael Beiteinu, Yesh Atid, The Jewish Home and Hatnuah. The incumbent Prime Minister, Benjamin Netanyahu of Likud, declared victory in the election with Likud picking up the highest number of votes. President Reuven Rivlin granted Netanyahu an extension until 6 May 2015 to build a coalition when one had not been finalized in the first four weeks of negotiations. He formed a coalition government within two hours of the midnight May 6 deadline. His Likud party formed the coalition with the Jewish Home, United Torah Judaism, Kulanu, and the ultra-Orthodox ("Torah-Observant Sephardim") Shas party, with the bare minimum 61 seats. Avigdor Lieberman's rightwing populist, Nationalist, National conservative, Revisionist Zionist, Russian speakers' Yisrael Beiteinu later joined the coalition in May 2016. Political parties are secular or religious: the Jewish secular parties are Zionist and range in orientation from left-wing socialist to capitalist, and the religious parties tend to have ethnic appeal (Sephardi or Ashkenazi). There are also several small parties that represent primarily Arab constituents (the communist Hadash party, the anti-zionist and Arab nationalist Balad party, the secular, anti-zionist, Israeli Arab interests, Arab nationalist and Big tent [ en.wikipedia.org/wiki/Big_tent ] Ta'al party and the Israeli Arab interest, Islamist and Anti-Zionist and Big tent United Arab List ( القائمة العربية الموحدة‎, al-Qā'ima al-'Arabiyya al-Muwaḥḥada) . 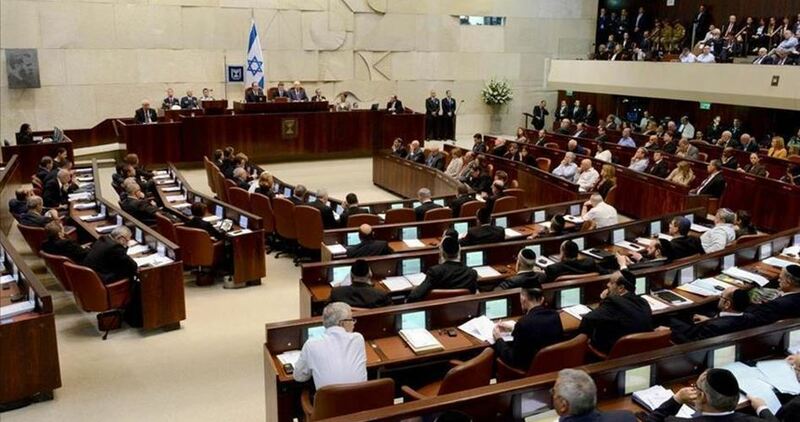 After the election threshold for representation in the Knesset was raised in 2014, the Arab parties and the multi-ethnic Hadash party ran on a single list in 2015 (as the Joint List) and became the third largest group in the Knesset. Labour (HaAvoda), meanwhile, formed its own list (the Zionist Union) with Hatnua and the Green Movement in order to maximize gains against the right-wing coalition and earned second place in the elections for the first time since 2006. Israeli citizens take an active interest in public affairs above and beyond membership in political parties. 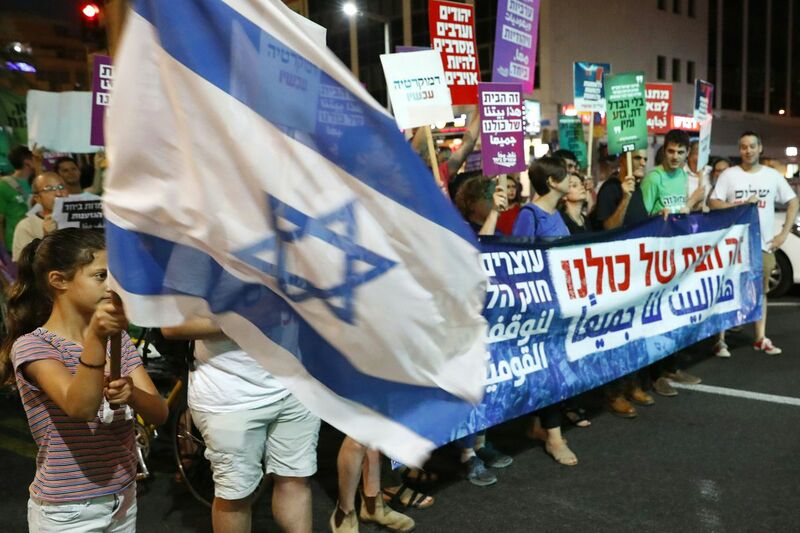 The pattern of Israel’s social and economic organization favours participation in trade unions, employers’ organizations, and interest groups concerned with state and public affairs. Thank you for your presenting, for this provides and opportunity of response upon the part of both Pieter and my self. What Pieter has presented with considerable amount of research and effort, my self do agree with. For as the proposed two state solution, being non Jewish that I am, I have no right of opinion, for this needs be to the two parties involved, that being the State of Israel and the Palestinians them selves. The matter between Germany and Israel is another matter, for then is the opportunity to speak out. Israel is the only Democratic state in the Gulf region and needs be maintained as so. Even though my opinions are not exactly in line with the Saudies, but that is a different matter not said here. In the matter of the new law placed in to effect in Israel, this is an internal matter that is to Israelis alone even though the effect is very wide spread withen the population. Withen the confines of effects, it is of good hope and trust that justice will prevail for all Israeli nationals. For those not nationals, it would be good for them to deeply consider their choices under currant prevailing conditions. Pieter, thanks for a wonderful presentation, although a bit sad of the conflict. Karl, that's for explain German and Israeli relationship. I would disagree with the statement: "Israel is the only Democratic state in the Gulf region and needs be maintained as so." I don't see Jewish state as a democratic state, it is an apartheid state rather. But Germany would never admit it due to the Holocaust. I saw in European news how desperate, hopeless and unhappy Palestinians are. Israel killed 7 people and this was barely mentioned. Even the title does not imply that Israel killed the Palestinians but rather "There was 7 killed in Gaza" or sth similar, so Israel would not be blamed. 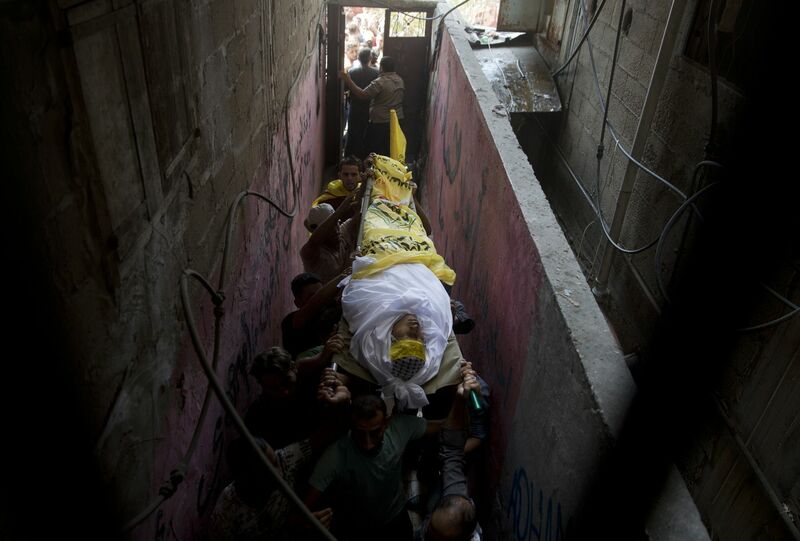 BIDYA, West Bank (AP) — Palestinians on Saturday buried eight of their dead — a woman killed when a stone hit her in the head while riding in a car in the West Bank, an attack blamed on Jewish settlers, and seven who were shot by Israeli troops during protests in Gaza the previous day. It was the latest aftermath of another day of violence in the coastal strip. The Israeli military said 14,000 Palestinians had thronged the border fence areas, burning tires and throwing rocks, firebombs and grenades at soldiers stationed atop earth mounds on the other side of the barrier. The 48-year-old Palestinian woman and mother of eight, Aisha Rabi, was traveling with her husband and two daughters to their home in the village of Bidya in the northern West Bank when she was struck in the head by a stone early on Saturday. Her cousin, Isam Rabi, said the family's car was pelted with stones. Aisha was rushed to a hospital where she was pronounced dead. Her husband saw a group of settlers nearby, Rabi said. Israel said it was investigating the incident and imposed a gag order on the process.